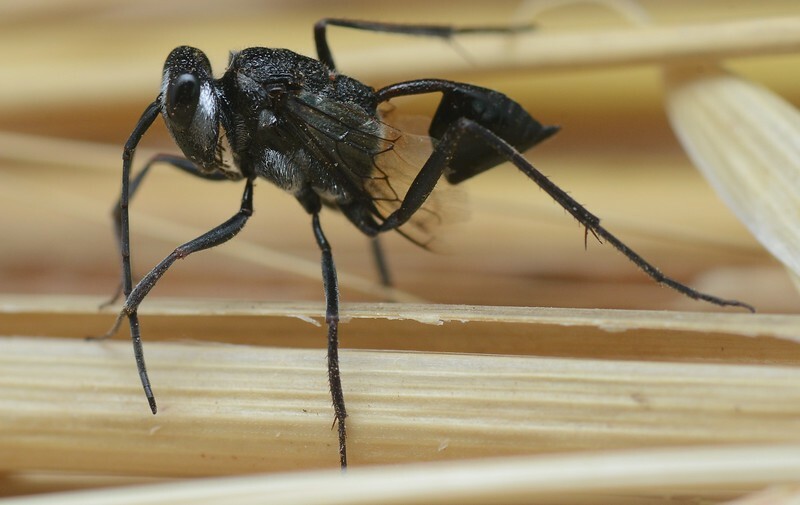 An unusual looking wasp with a cut-off, triangular and laterally compressed gaster belongs to the family Evaniidae, referred to as ensign wasps due to the gaster's flag resemblance. The introduced cosmopolitan species Evania appendigaster has been well studied and is known to parasitise the ootheca of cockroaches, although no work has been conducted on Australian species, it's quite possible ours will do the same thing given the morphological similarity and apparent conservative nature of the group. Deans AR & Huben M. 2003. Annotated key to the ensign wasp (Hymenoptera: Evaniidae) genera of the world, with descriptions of three new genera: Decevania , Rothevania , and Vernevania . Proceedings of the Entomological Society of Washington 105 , 859–875.